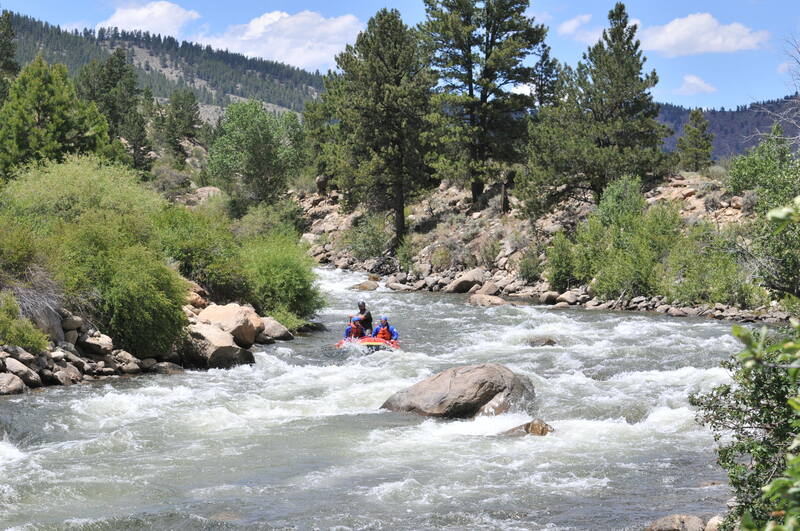 Colorado’s rafting season officially kicks off around May 1, but the busy summer tourist season doesn’t start picking up until after Memorial Day. 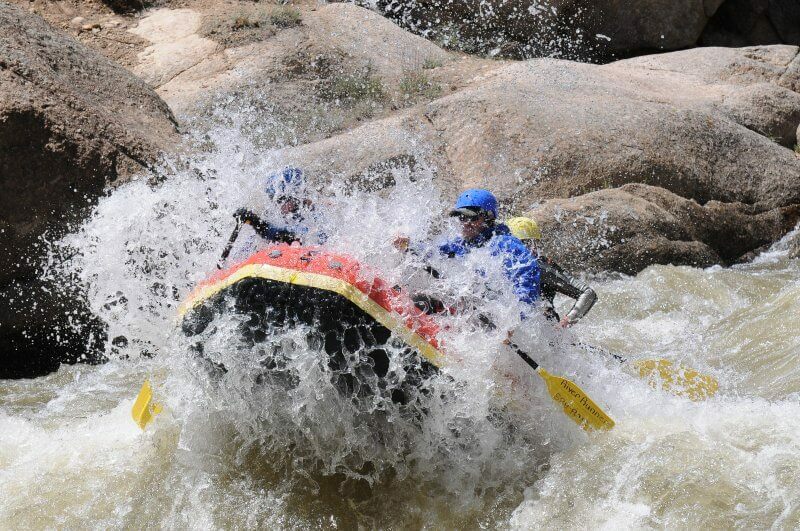 Seasoned whitewater rafting enthusiasts know that early season is the best time to be on the river. 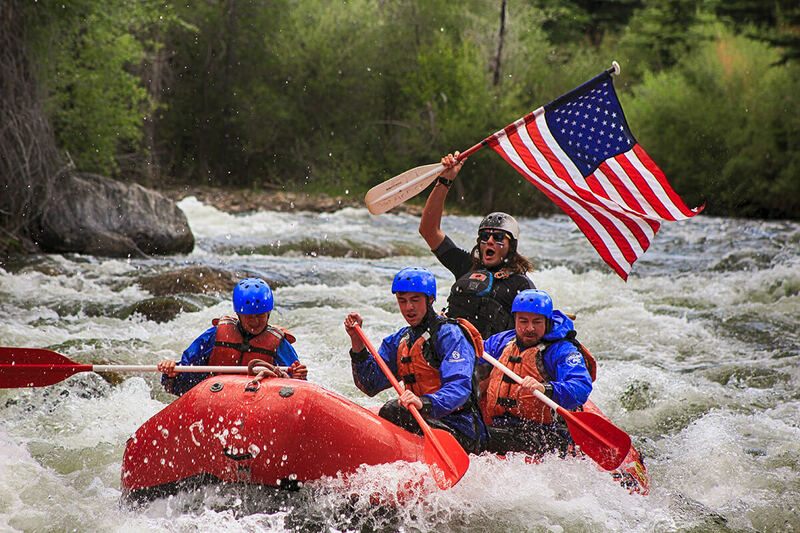 These early season rafting secrets will help you plan the best May raft trip in Colorado! Animal lovers rejoice! Wildlife activity begins to increase in early summer and late spring. It’s not uncommon for guests to see mule deer, bighorn sheep, and some lucky paddlers might see the occasional elk while rafting in the early season. In fact, the Browns Canyon section of the Arkansas River was designated a National Monument in 2015 partly because of the abundant wildlife in the area. Weather in Colorado varies minute-by-minute and sometimes mile-by-mile – especially in April and May! When it is raining or snowing in Summit County, it could be sunny and dry in Browns Canyon National Monument. If it’s damp in Buena Vista, it could be 75 and sunny in the Royal Gorge. If you’re worried about the forecast, give us a call. There are a few things we can do to make your early season experience more comfortable. 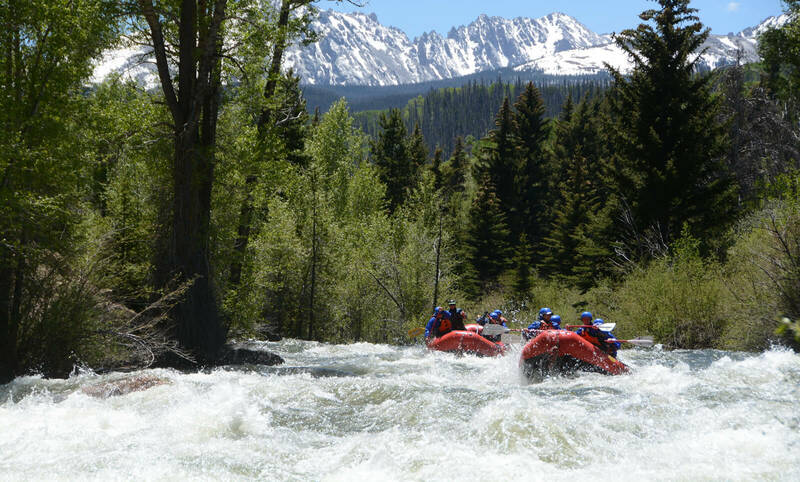 High altitude rafting means our rivers are filled with snowmelt coming off some of the highest peaks in Colorado. In April and May, we recommend getting the gear to prepare for colder water and changing conditions. Opt for the wetsuit, splash jacket and bootie rentals. Bring additional layers made from quick-dry outdoor materials like wool, fleece, micro-fleece, polyester and waterproof layers. Guides can store your layers in dry-bags on the boats. It’s better to have it and not need it, than to need it and not have it! Stoke level is at an all-time high in the early season, and our excitement is contagious. 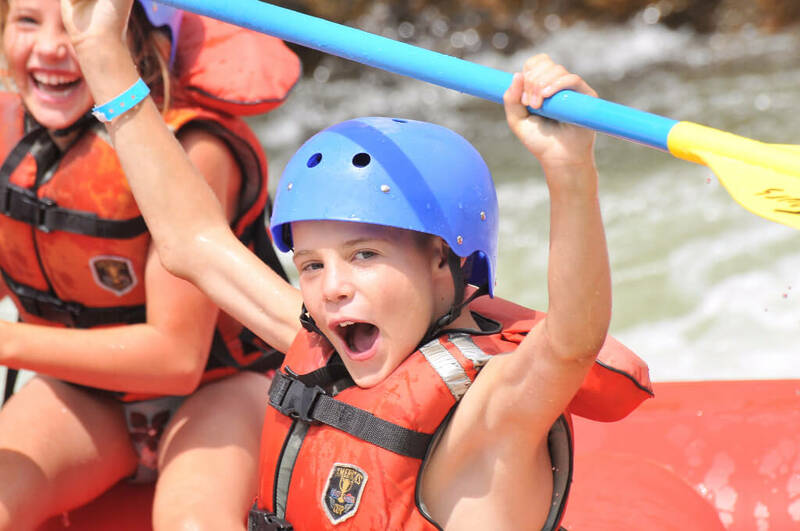 Rafting is fun in every season, at every water level, and on every river. 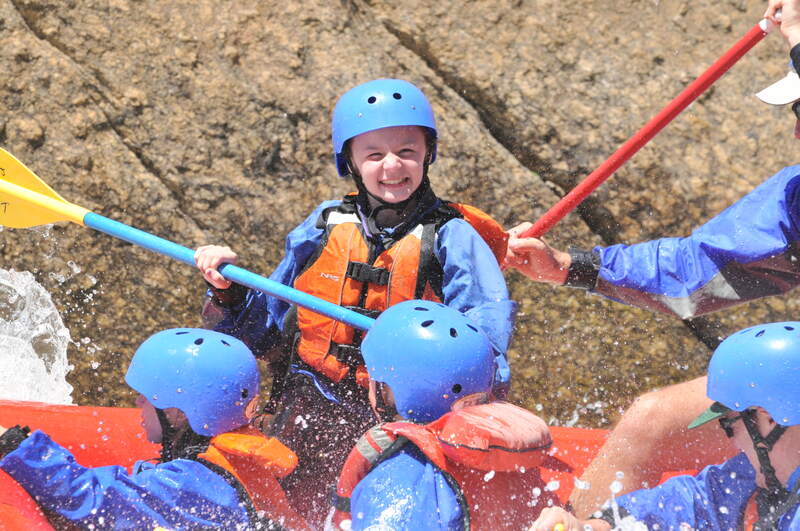 Pack your sense of adventure, a great attitude, and jump in the boat with one of our professional whitewater guides.